A Hidden Sicilian History is a Christian historical fiction by Ettore Grillo. A man finds an old scroll in the library in Enna, Sicily and translates it. The scroll was written by a Sicilian named Vincenzino who performed in a drama at Enna’s deconsecrated Church of Santa Croce. He recollects his melancholic past, giving narrative descriptions of traditional feasts, the approved protocol and behaviour citizens had to follow, and historical events that occurred in that era. Vincenzino pondered the meaning of life, especially after losing his grandfather. Seeking information about his uncle’s mysterious death, which the family did not want to divulge, made him more curious and determined to learn the truth. He often felt out of place, questioned his family’s strong Christian faith and compared it to his own, wondering if it was relevant to his aimless life. This enlightening novel by Ettore Grillo shows the culture and customs of people in Enna in the 1930s onwards. A Hidden Sicilian History gives readers a reflective look into the protagonist, Vincenzino’s life. I noticed that he shared a few traits and habits with his deceased uncle, whom he was named after. The historical facts and the overall opinions from the characters about religion and other general topics are interesting and can be considered arguable. The author’s moderately paced writing is expressive, bold, and mildly graphic in some parts, making this unique content more suitable for mature readers. The cover illustration is colourful and catchy, and complements the story nicely. A Hidden Sicilian History by Ettore Grillo is an extraordinary historical novel. The setting is Enna, Sicily. In the local library, a young man finds an ancient scroll on old, yellowed paper, placed between two volumes about the Spanish Inquisition. Although he tried to give the scrolls to the appropriate authorities, they declined to accept them. He took the scrolls home, curious about the writings. The text on the scrolls is a modern play performed on the stage of the local Church of Santa Croce, as it was being deconsecrated. The main character in the play is Vincenzio, and the focus is his spiritual journey exploring the meaning of life. Vincenzio’s quest is to find an answer to the overriding question – is there life after death? This question leads to his exploring his own family’s history, his Catholic religion, and religious practices from India to the Maya culture in Mexico. This historical novel is truly intriguing, due to the diversity of time periods, religions, and cultures examined. 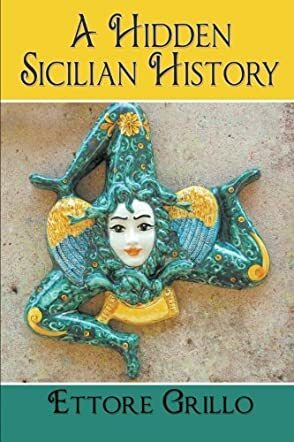 Ettore Grillo takes the reader on an amazing tour of varied belief systems in A Hidden Sicilian History. While Mr. Grillo introduces new ways of experiencing spirituality, the reader follows each road with a clear understanding through the quest of one man. This is due to the author’s style of writing, which is clear and succinct. This book is easy to read; it is an excellent way to learn more about the multitude of paths to understanding man’s spiritual connections. This is a captivating historical novel!